With more than a century of life in Greece, graviera is a very popular traditional hard yellow cheese, with its own special flavor. 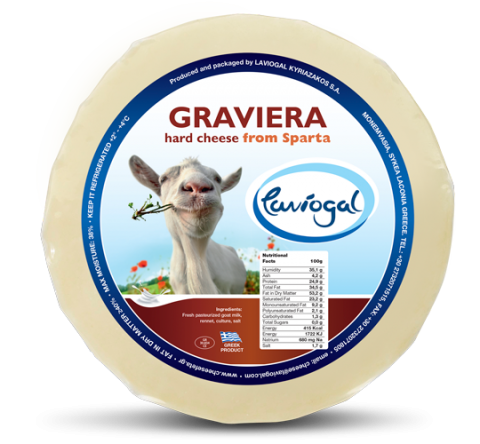 Graviera is a product of high nutritional value, mainly due to its high calcium levels. It is also a great source of protein, phosphorus, magnesium and iron. Graviera can be enjoyed on its own as an appetizer, in sandwiches and salads, as a wine accompaniment, grated over pasta or even with honey. 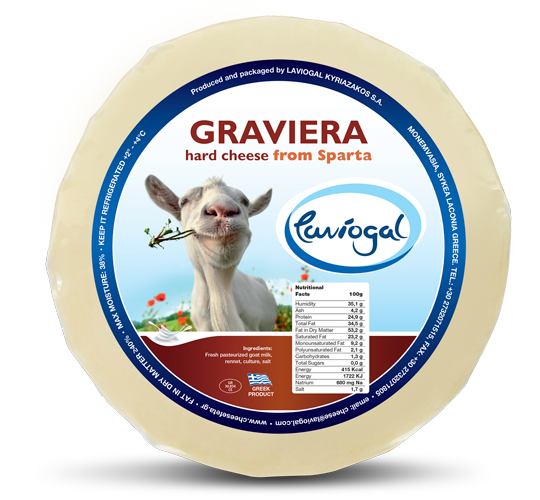 Our Graviera from Sparta is a hard table cheese made from fresh pasteurized goat milk. Thanks to its rich flavor, it will definitely find a place on your table!. Serve it as an accompaniment or grate it right over your hot pasta!